The Round Ireland Yacht Race, which is organised by Wicklow Sailing Club, is undergoing an historic expansion that will see it become Ireland’s premier offshore sailing race. Wicklow Sailing Club has partnered with the Royal Irish Yacht Club to provide facilities in Dún Laoghaire which will mean larger yachts unable to berth in Wicklow Port can now take part in the race. Now in its 34th year, the Round Ireland Yacht attracts entrants from across Europe and as far afield as Russia, the USA and New Zealand. The maximum number of entrants in this year’s race will increase from 75 to 100. It will depart Wicklow on Sunday 28th June 2014 at 2.00 pm. Wicklow Sailing Club will continue to run the race under the auspices of the Royal Ocean Racing Club and the Race will start and finish in Wicklow. 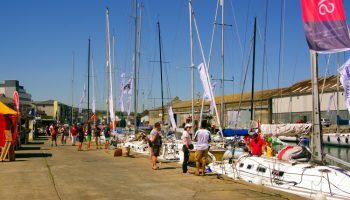 Race organiser, Theo Phelan, said that discussions on expanding the race began after a number of owners of larger offshore racing yachts expressed an interest in taking part. 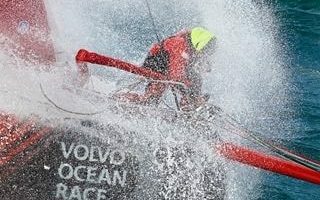 “Internationally, completing the race is considered a significant feat as the race is one of the most gruelling and challenging sailing competitions in the yacht racing calendar,” Phelan said. “Huge planning goes into preparing for this race as there are very strict qualifying criteria for crew, yachts and equipment,” Phelan said.